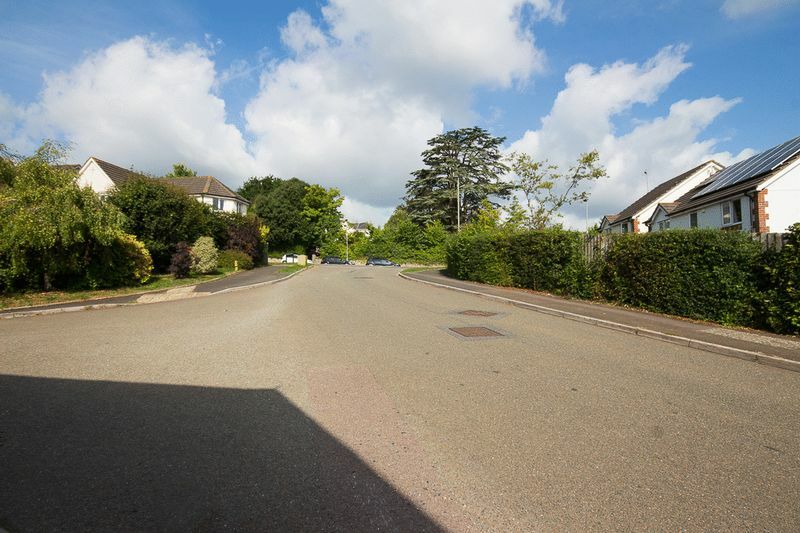 A 3-bedroom modern house situated on a small development of just four properties, built by a well regarded local developer. 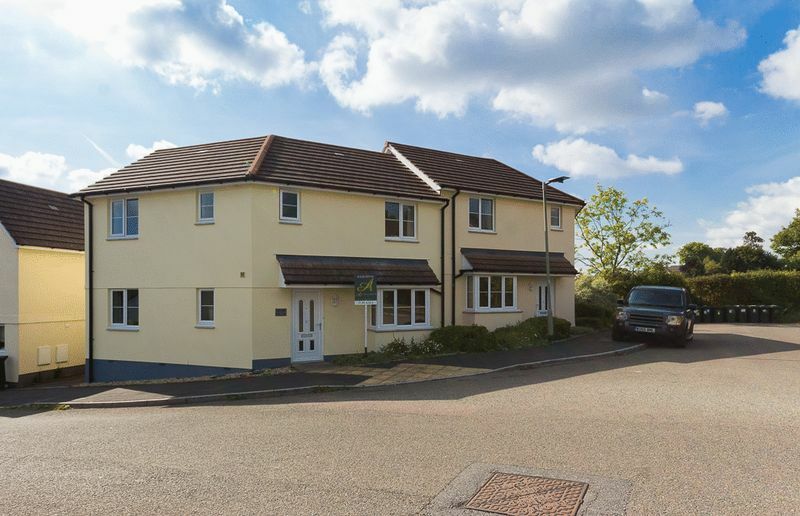 This semi-detached property has been finished to a very high standard with granite worktops and oak engineered flooring throughout the ground floor being particular features of interest. 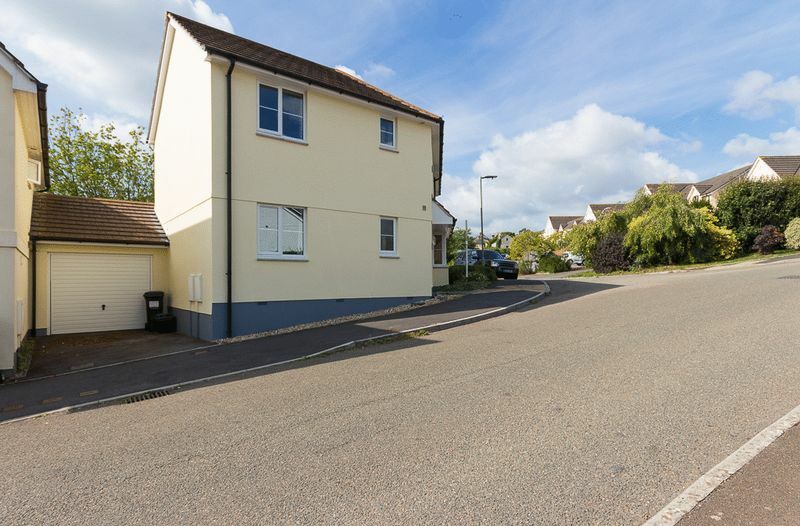 The property benefits from a south facing lawned garden, master en-suite, a garage with driveway parking and is located within walking distance of Chudleigh town centre and all its amenities. You enter the property via a covered storm porch into an entrance hall. 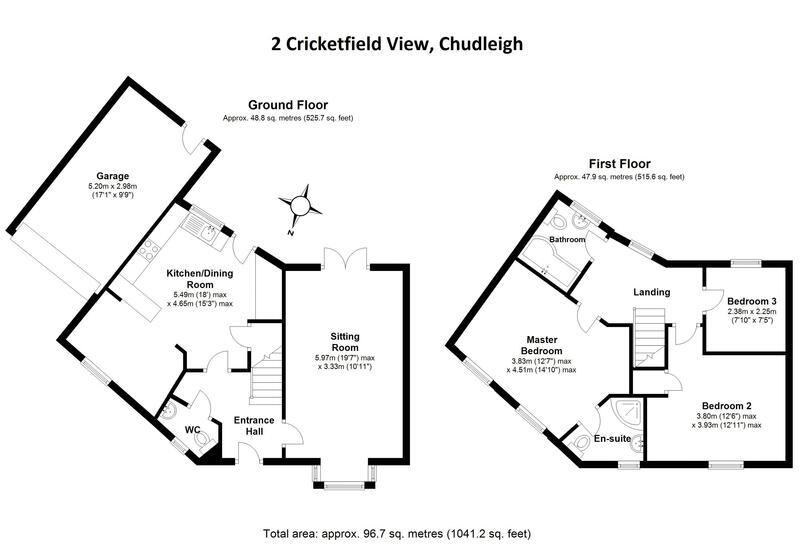 There is a cloakroom off the hall fitted with a downstairs WC and hand wash basin, stairs rise to the first floor. 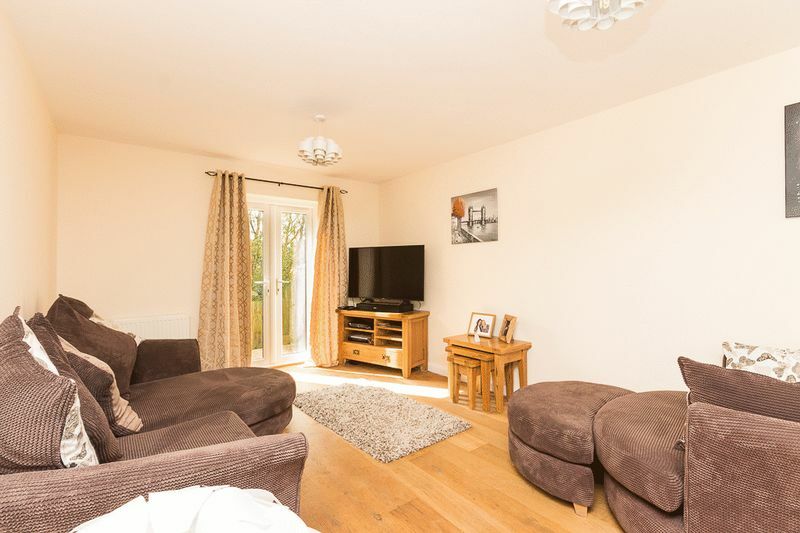 The dual aspect living room has a very light and airy feel due to the bay window to the front of the property and the French Doors to the rear which open out onto the south facing decked area. 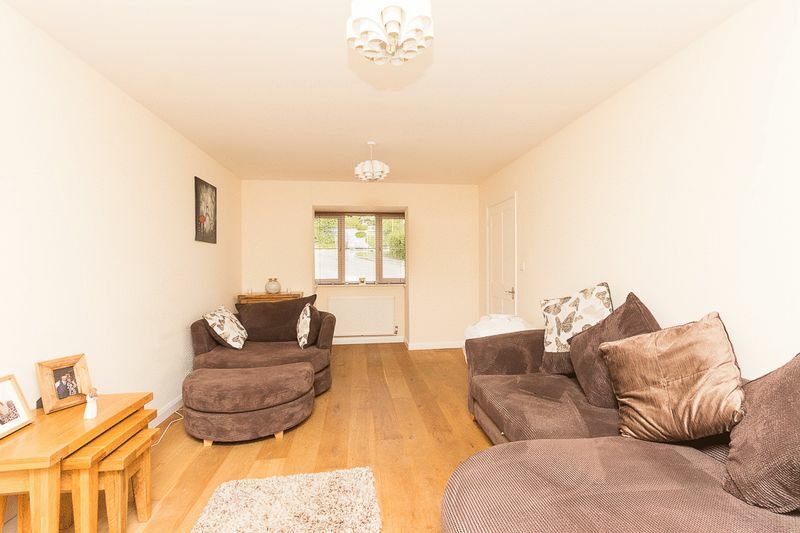 There is Oak engineered flooring throughout providing a modern, contemporary feel. 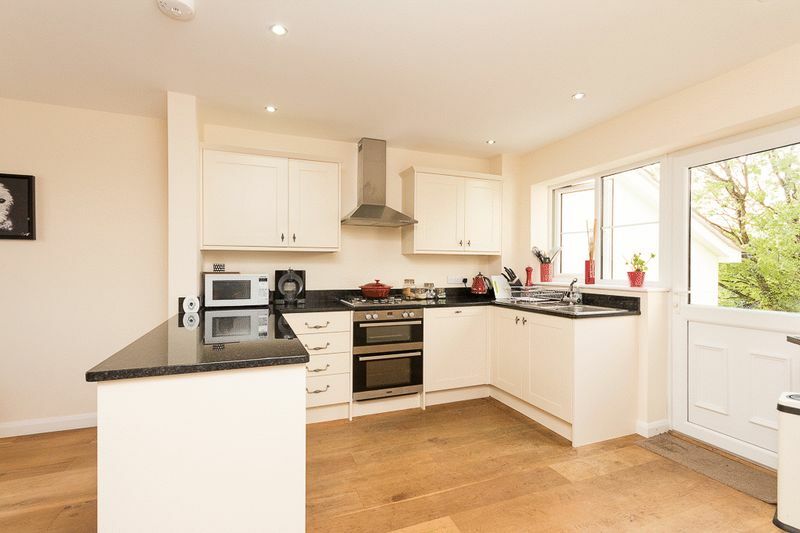 The open plan kitchen diner is another light room benefiting from windows on two aspects and a back door leading onto the decking. The kitchen itself comprises a range of cream wall and base units fitted with modern black granite work surfaces. 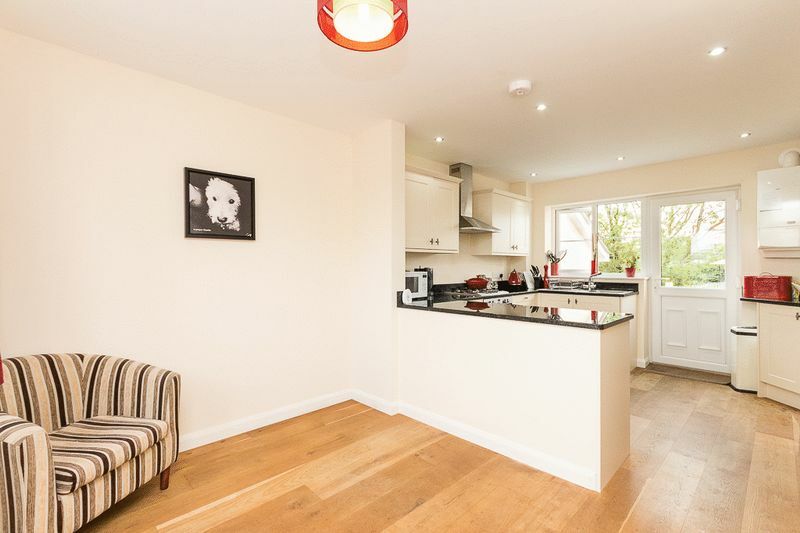 There is an integrated double oven with a 4-burner gas hob and extractor hood over, and a sink with drainer and mixer tap conveniently located beneath a large window allowing for views over the garden. 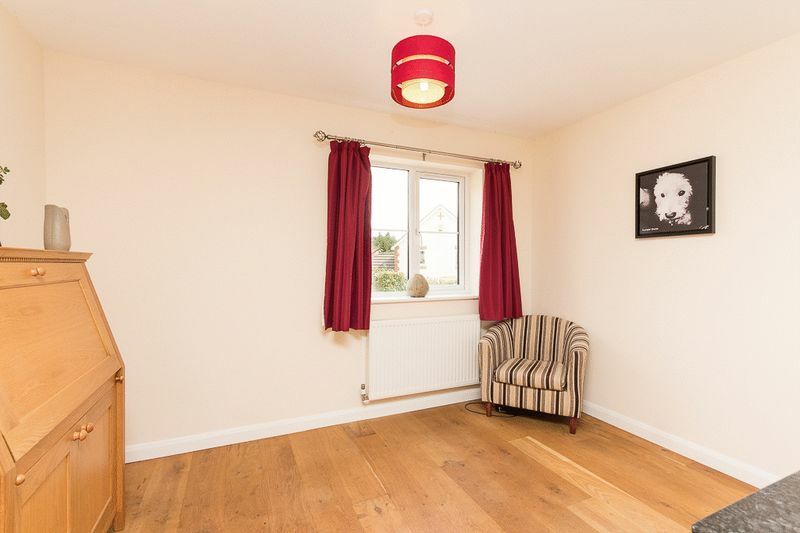 The dining area benefits from oak flooring consistent with the rest of the ground floor and offers plenty of space for a family dining table or further seating area. Rising up the stairs to the first-floor landing which gives access to 3 bedrooms and the family bathroom. 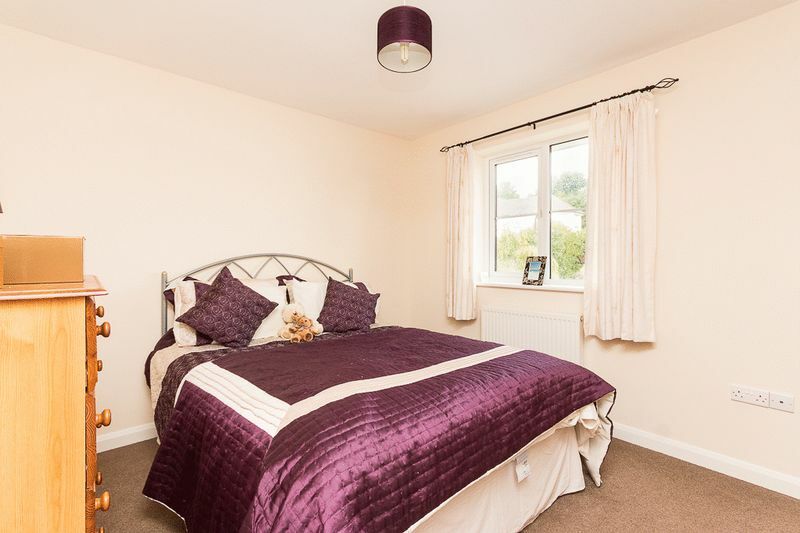 The Master bedroom is a great size and benefits from windows to the front aspect giving the room natural light and an en-suite shower room which benefits from modern decoration and a 3-piece suite consisting of a modern quadrant shower enclosure, pedestal wash basin, WC and a wall hung chrome towel rail. 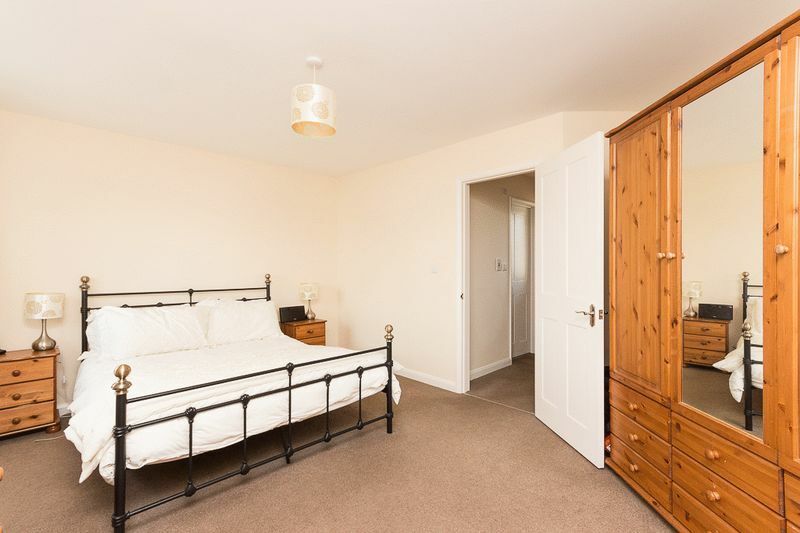 Bedroom two is another good-sized double room which enjoys a window to the front aspect offering an open outlook. 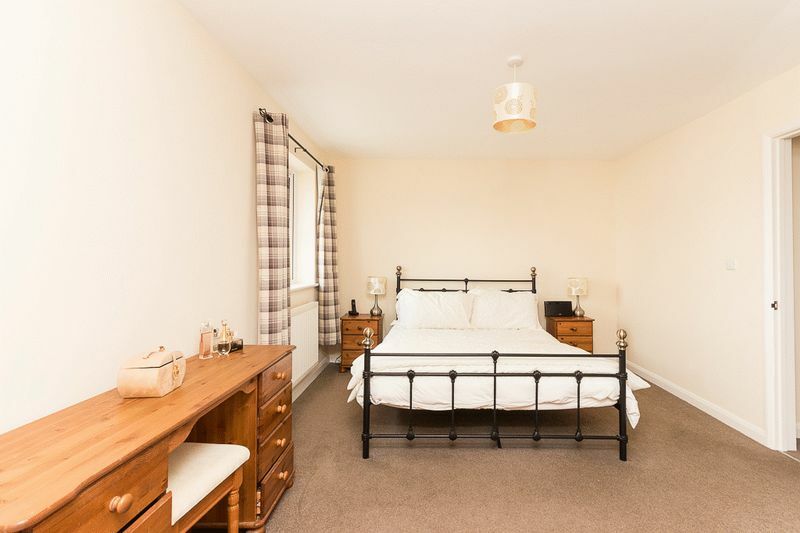 Bedroom 3 is a single room perfect for a child or to be used as a study with a window to the rear aspect enjoying views over the rear garden. 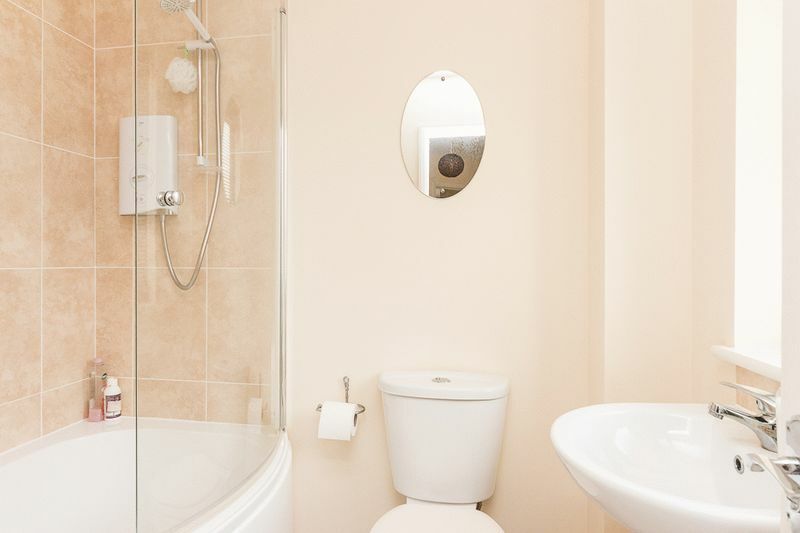 The family bathroom completes the first floor and benefits from matching decoration to the en-suite. There is a 3-piece suite consisting of a 'P' shaped bath with curved shower screen and electric shower over, WC & pedestal wash basin. 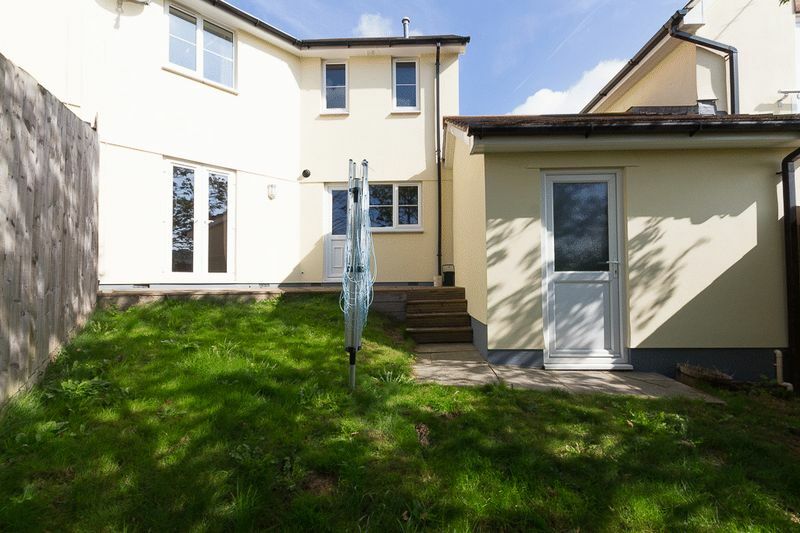 The south facing garden is laid mostly to lawn and benefits from a raised decked area providing a perfect spot for garden furniture and a barbecue. Timber fencing provides the boundaries. There is a door into the rear of the property's garage for easy access! 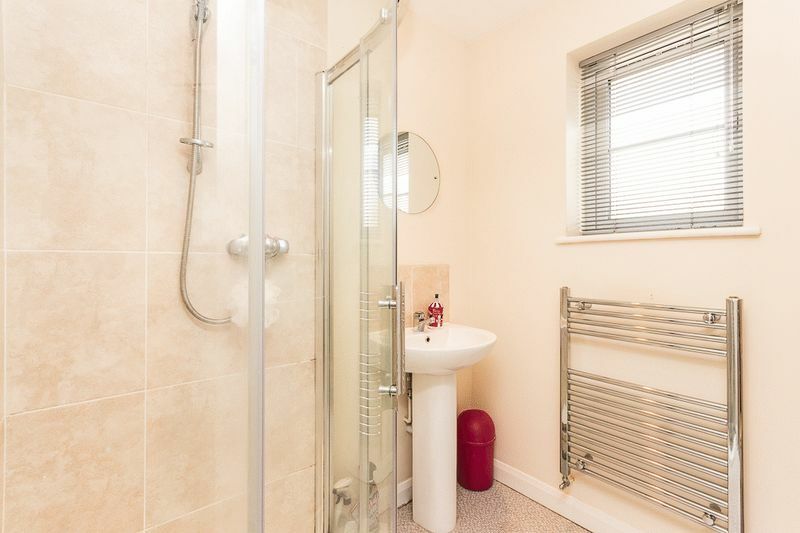 The garage is fitted with a pitched roof, up and over door, power and lighting and benefits from a utility area which has space and plumbing for under counter appliances. 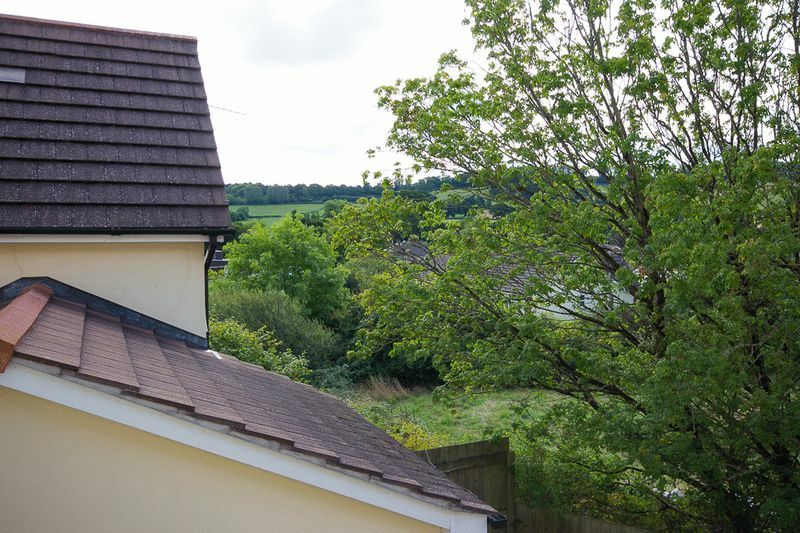 From our office, 31 Fore Street, Chudleigh: Head towards the centre of town, At the war memorial stay right and continue onto New Exeter Street, Contine and merge onto Exeter Road, Turn right into Brocklands, Cricketfield View is the development of 4 properties approximately 30 meters in front of you.